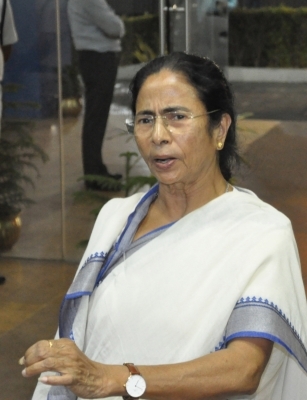 Kolkata April 16 (IANS) West Bengal Chief Minister Mamata Banerjee on Monday accused the CPI-M Congress and the BJP of joining hands to "deliberately delay" the panchayat polls in the state and claimed they were shying away from the election because of their lack of public connect. "CPI-M Congress and BJP are the three brothers. They play one kind of role here and another kind of role in Delhi. Election is a democratic right. If they reality believe in the people why are they shying away from the election and trying to deliberately defer the polls by rising various political questions?" she asked. Banerjee refused to comment on the Calcutta High Court s decision not to interfere with a single bench order staying the election process. However she claimed government work was suffering due to the unwanted delay in the polling process. "The reality is we are suffering due to this delay in the polling process. The dates were fixed based on the administrative calender " said Banerjee also the Trinamool Congress supremo. 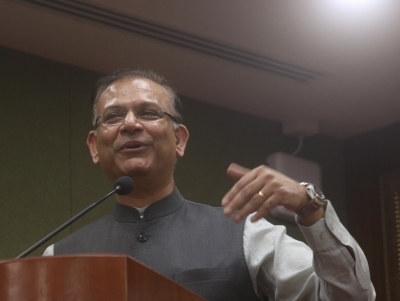 "We have seen that the Higher Secondary examination and nomination process for the rural polls took place simultaneously. All the exams were conducted peacefully. The nomination process has also been completed in many places " she added. A division bench of the Calcutta High Court on Monday refused to interfere with a single bench order staying the West Bengal Panchayat election process but asked the judge to hear the case on "fast track". The matter will now be heard by the single judge bench at 2 p.m. on Tuesday.